Why traipse around crowded malls when you can have the bargains come to you?! Shopping in Dubai is great, but online shopping in Dubai is even better – especially when free delivery is involved! Whether you’re looking to stock up on the latest beauty buys or need a brand new wardrobe, we’ve rounded up seven of our favourite online shopping sites (both international and Dubai-based) that offer free shipping to Dubai. Popular e-commerce site Noon offers everything from women’s fashion and men’s clothing to footwear and stylish accessories. Having recently launched late last year, this retail giant has quickly become a favourite on everyone’s mobile app list – including ours! As well as fashion and beauty buys, we even regularly use Noon for our weekly food shop as well – handy! Offering high-end luxury fashion and furniture, Ounass is an e-commerce site by Al Tayer Group that boasts over 250 luxury brands from all over the globe. You’ll find an extensive array of well-known designers, along with exclusive capsule collections from local and international designers. Oh, and the fact that it offers free two-hour delivery within Dubai is a huge plus in our books! The sister company of Al Tayer Group’s Ounass, Nisnass is a useful Dubai app that has everything you need at your fingertips. Whether you’re looking for the latest high-street trends, funky activewear, or stylish accessories for your home, this is one shopping app you need in your life. Expect reasonable prices, free returns and free same-day delivery within Dubai! Namshi is your one-stop online store for funky clothing, accessories, beauty and homeware. Young, quirky and fun, this online marketplace caters to fashion-forward, 20-something customers with a huge choice of local and international brands to choose from. One site we keep on coming back to for wardrobe essentials is SHEIN. Super affordable, stylish and on trend, SHEIN is perfect for young women and teens looking to upgrade their look. Expect to find everything from funky maxi dresses and graphic tees to quirky swimwear and statement accessories. 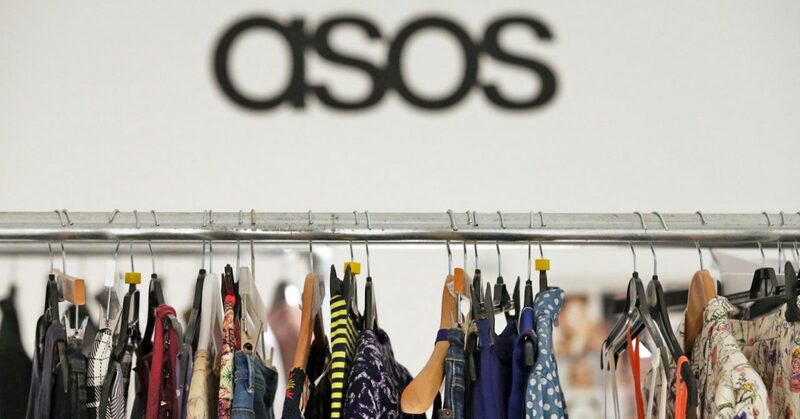 When it comes to trendy fashion and stylish accessories, ASOS is one site every woman and man can rely on. The site offers items from more than 700 boutiques and caters to all sizes, shapes and styles. From swimwear and jumpsuits to beauty must-haves and funky gifts, you’ll find everything you need and more! Launched in the Middle East, SIVVI.COM offers some of the hottest brands for men and women all under one roof. From funky high-street labels to sportswear, boutique brands and runway-inspired collections, stock up on the latest trends with just a few clicks. Who’s ready to shop ’til they drop… off their sofa?! If you’re looking for more fashion and beauty inspo, check out insydo’s Look Good page for all your style-savvy needs. nextVERDICT: The Most Scent-sational Sephora Buys Right Now!